Vice Chair: NiCole R. Keith, Ph.D., FACSM, Indiana University, Regenstrief Institute, Inc.
Dr. NiCole R. Keith is a Professor in the Department of Kinesiology at Indiana University – Purdue University, Indianapolis and a Research Scientist in the Indiana University Center for Aging Research at Regenstrief Institute. 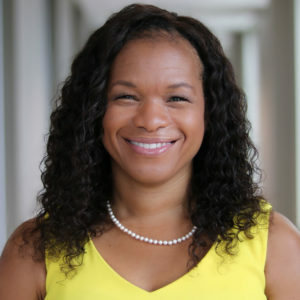 Her research focuses on addressing health disparities through physical activity in disadvantaged communities and in minority populations through school and hospital-based partnerships. Dr. Keith is a Fellow of the American College of Sports Medicine and serves on several ACSM committees. She earned a B.S. degree from Howard University, a M.S. degree from the University of Rhode Island, a Ph.D. from the University of Connecticut, and another M.S. degree from Indiana University School of Medicine.